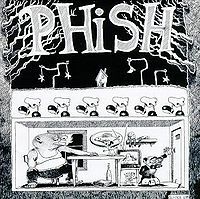 This show included the debut of Bouncing, the first known performance of Coil, and the first known Phish performances of Caravan and Carolina. Page teased Tequila in Bathtub Gin. Suzy Greenberg contained a Purple Haze tease from Trey and Hood contained an Odd Couple theme tease from Page. Fun early show. It's nice to hear early incarnations of such classic tunes as Bathtub Gin, Mike's Groove, YEM, Antelope, and Hood. I enjoyed the first set, particularly the YEM - Page's solo was surprisingly funky and featured a nice Trey solo. To these ears YEM possessed some special, indefinable quality in those early days that's lacking in modern versions. I can only imagine going to see this strange new band on my school's campus and hearing such a song for the first time. Maybe the ability to hear the song with such a mindset in mind combined with the sheer ferocity the band was displaying when tearing their quintessential tune to shreds in those days creates such an effect. I also wish they would become more creative with their setlist placement of YEM nowadays. It's fun hearing it pop up in the middle of the first set. Some songs, however, were clearly still finding their place. The first-ever Squirming Coil seemed a little rough at parts, and Trey in particular struggled with the tone of his guitar at a few points. This is also before the song developed the beloved extended outro by Page. After Caravan Trey introduces the Squirming Coil and tells the crowd that Lawn Boy will be released a few days later. I really wish they'd bust Caravan out these days. I miss the jazz tunes they used to throw in the middle of sets. The set closes out strongly with Caravan, Lizards (although I think there may have been a few flubs in Trey's solo), and a very strong Run Like an Antelope. I loved some of Page's keyboard work in this one, and Trey sounded as great as he had all night. The drop into the jam segment sounded a little rough though. Set II starts off with a nice Oh Kee Pa > Suzy followed by the debut of Bouncing Around the Room. The tempo seemed a tad bit slower, but that could be true of other early versions too, I'm not sure. Next up is a beautiful early version of Reba. I'm partial to the groovier, later versions (i.e. 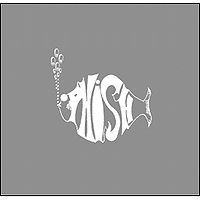 10/31/94 - a contender for my favorite piece of Phish music) but this Reba is just gorgeous. Trey's solo just SOARS while Mike's murky bass pounds away and Page adds to the canvas with beautiful flourishes on his keyboard. (I know all of the same things could probably be said for any version of Reba, and I doubt this version is anything special per say, but nevertheless I enjoyed it greatly). Tela was pretty without any noticeable flubs, and La Grange ROCKS, Trey absolutely tears it apart, but I could barely hear the vocals on my recording. This is another tune I wish they would bring back. 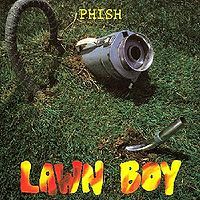 Lawn Boy is Lawn Boy. Page's organ intro to Esther started off a little rough, but it might have been the recording. Otherwise though, Ester was tight and beautiful as always. Such a spooky little tune. Page's work in this song is really just spectacular. Set II finishes off with Mike's Groove. The jam in Mike's is loud, heavy, and fierce. Nothing like what it would become within the next 5 years of course, but a scorcher nonetheless. Towards the end Trey holds out a long sustained note while Page pounds away at his organ. After back-to-back listens of this Mike's, I've decided that I really really like it. Trey sounded a little rough at parts in Hydrogen, but it was typically beautiful. Like most early Weekapaugs, there's no funk to be found here. Just high energy, high intensity machine gun Trey. This version doesn't seem to "click" as well as other early versions I've heard (such as 10/31/90) and it struck me as a little below average. Parts of it seemed a little noisy, perhaps it was just the recording. Hood is such a great encore choice and this version does not disappoint. The composed section is a little rough around the edges occasionally, but the jam segment of the song is transcendent as per usual. Trey's tone is so crisp and clear while he plays the most intricate and captivating melodies. Hands down the show highlight for me. Overall, I'd love to give this one a 3.75 star rating, but I just can't quite justify a 4 star rating, even with versions of Mike's Song and Harry Hood that I will definitely revisit. A great listen for fans of Phish's sound in the pre-93 era. Funny Carolina opener gets the vocal mix set and then into a rocking Sloth, which was a little rusty in parts, but good overall. Paul fixes the sound at this point and rings out the room while we check out Page's new hair cut. Gin was good, very fast paced. 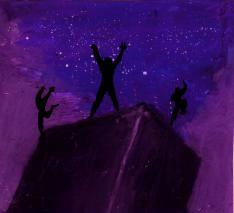 YEM had a few rough spots and the recording I heard was cut at the peak! Booo…. Feedback still plagues the sound. Coil had a few off spots, but it’s new. I like the addition of Caravan to the set list, but this one seemed a little too loose, like they fell off the progression at times. Lizards was good, with a few off spots. Antelope was a nice closer, though a little loose in the intro section. Good first set overall. I like Trey’s announcements before second set. Pretty solid Oh Kee Pa > Suzy opener, though it’s not the same with out Fish’s screams for me. The very first Bouncing was rough in parts, but not too bad. Reba was good, the recording had a cut in the middle and Tela came off as weak and a bit rusty after that. LaGrange and Lawn Boy were both solid and well played. Esther was off in a few parts and seemed very rushed by Page. Mike’s rocked, but had a rough transition into an average Hydrogen, which was also very rushed. Weekapaug was off tonight, in my opinion. I don’t know if it was just a long night or what, but they just didn’t seem to be all together. Pretty good second set, though a bit rusty on some songs and the new ones needed to tighten up. Hood was a bit sloppy and tired too, maybe just a little rusty from not playing it a lot? I agree with the other reviewer, there isn’t enough wow factor or tightness in the music tonight to get to a full four stars, so I’ve got to give this one three stars.